When Lorde (née Ella Yelich-O’Connor) released previous single “Tennis Court” (with B-side “Swingin’ Party”) back in June, her star had barely begun to glow in the United States, despite having quickly rocketed to #1 in her homeland of New Zealand. However, with less than a month left until the release of highly-anticipated debut album Pure Heroine (due September 30 on Lava/Republic), buzz around Lorde and her breakout hit “Royals” has grown immensely as she races up radio and retailers’ charts. 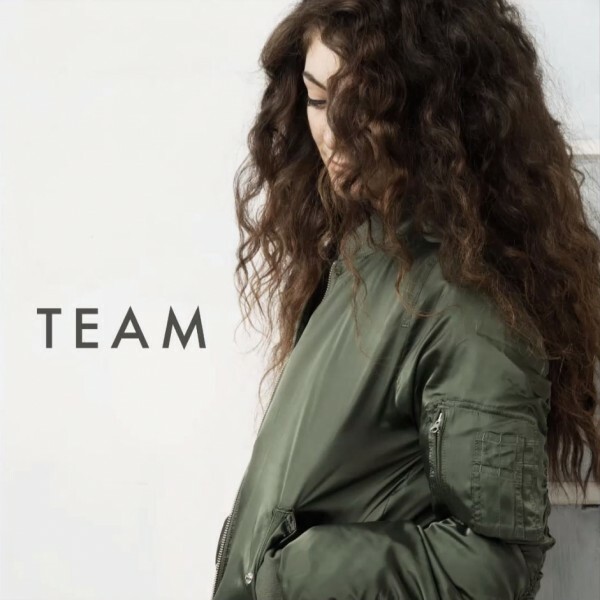 With her latest offering “Team,” she releases a pop-friendly track that keeps strong her track record of sparse, minimal instrumentation. Unlike the rest of the offerings on her first EP The Love Club, “Team” places Lorde’s soft, apathetic vocals atop a thumping bed of bass drums and organ-like synths that provides an accompaniment as suitable for a club setting as it is for pop radio. The standout element of the single comes in O’Connor’s lyrics: she makes a dig at her radio-ready competition in the post-chorus with the line “I’m kind of over gettin’ told to throw my hands up in the air / So there,” and like in “Royals,” she provides another shout-out to the small towns that “you’ll never see on screen” in the chorus. The self-proclaimed Queen Bee treats her subjects to a party that stays just sophisticated enough to stray from the typical structure of party-focused pop songs without being overly pretentious.